I’m obese. What should I do? Obesity is a Latin word and means that who is eating too much. Obesity is a disease that causes very serious health problems and unfortunately shortens the life span. For obesity classification, many parameters such as laboratory and imaging methods, body fat percentage and the type of fat deposition are used. For the moment, however, the World Health Organization (WHO) uses the body mass index (BMI) calculation for the identification and classification of obesity, and it is almost a common language all over the world. It is a value that everyone can calculate with a simple operation. Individuals with a BMI greater than 30 are considered obese. 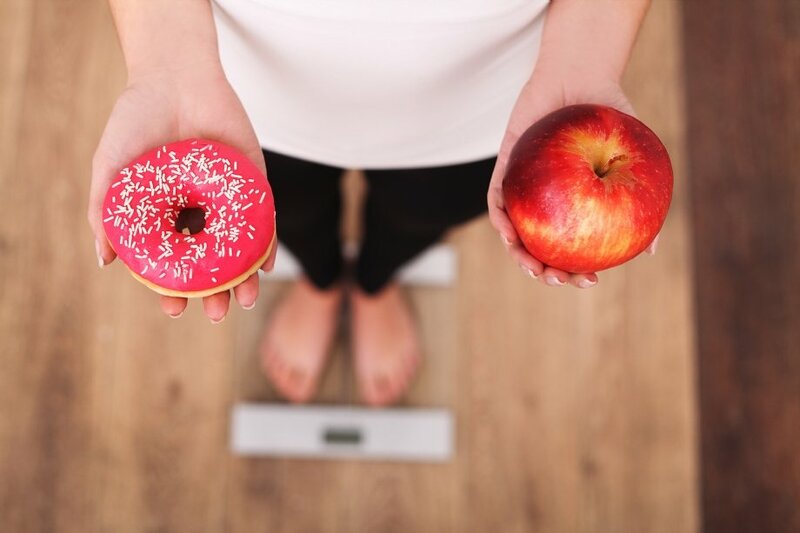 In particular, the type of fat deposition in the body, that is the fat around the waist (apple type fatness) and the fat around the hips (pear type fatness), has an important role in defining obesity. 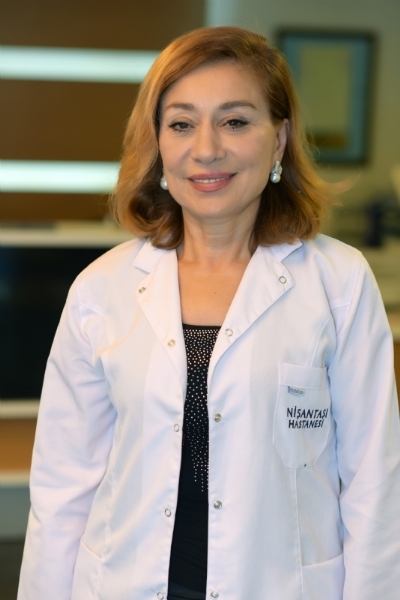 Although there is not a clear scientific evidence, there is an opinion that the surplus of fat around the abdomen is accompanied by some disesases such as diabetes and atherosclerosis, which are referred to as the metabolic syndrome, accompanied by fat accumulation not only under the skin but also in the internal organs. 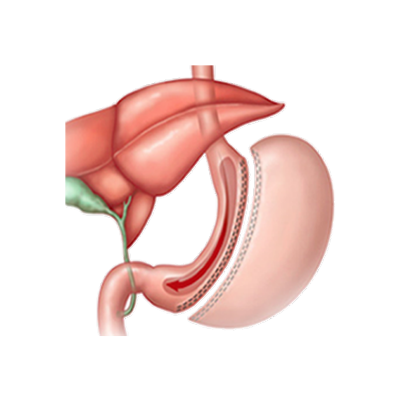 In other words, the ratio of waist circumference to hip circumference is important. This value should be below 1. 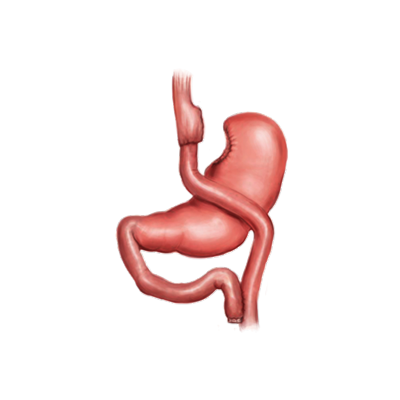 In terms of risk of metabolic syndrome, the waist circumference should be 102 cm in men and 88 cm in women. Simply, since the the energy we take with food is much more than the energy we consume, and the excess energy is stored as fat in the body. Everybosy has a certain basal metabolic rate. That is, the cells in the human body spend a certain amount of energy so that they can sustain their normal function. We need this energy to allow our heart beat, breathe and briefly survive. This energy is about 25-35 kcal/kg. For example, a person weighing 70 kg consumes about 2000 calories to perform normal functions. Apart from that, we need extra energy for our normal physical activities. We supply this energy requirement from foods. This equation needs to be in balance. If the amount of energy we get from the foods increases and the energy we consume with exercise decreases, the body will store the excess energy as fat and begin to gain weight. Another important issue is the genetic background of obesity. Even if the progress in genetic technology continues rapidly, a specific gene for obesity has not yet been found. Scientific data shows that it may be a genetic basis. Children who are obese are 30% likely to be obese, while children who are both obese are 50-70%. While children whose father or mother are obese are 30% likely to be obese, this rate is 50-70% in children whose both mother and father are obese. In addition, some endocrinological (hormonal) and psychiatric (eating disorders) diseases can be the cause of obesity. Endocrinologic (disorders of the adrenal glands or thyroid glands) and psychiatric causes should be investigated in patients who seel medical advice for obesity. The data presented at the SAGES meeting in the United States in 2013 revealed another interesting cause of obesity. Unfortunately, obesity has been shown to increase in countries where smoking cessation campaigns are being made. The obesity frequency is increasing all over the world. The numbers predicted by the World Health Organization are alarming. Obesity, which is below 10% in the 1960s, has reached 30% in 2000s, and it is expected that in 2030, half of the world's population will become obese if it increases with such an acceleration. 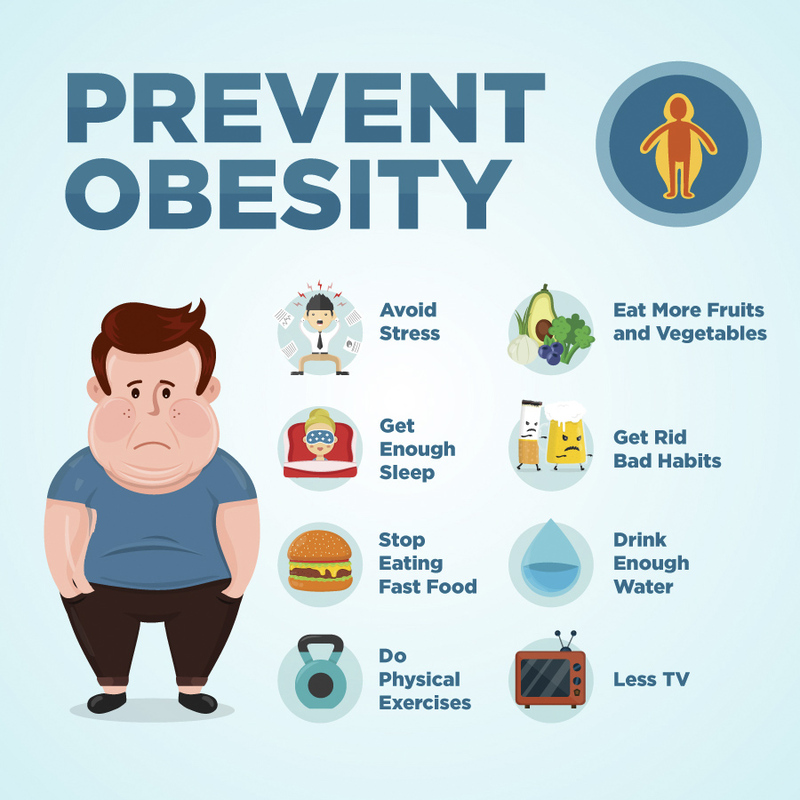 Obesity is a condition that affects the entire body system in a wide range of disorders from joint diseases to cancers. The most important systems that obesity affects are endocrine and cardiovascular system. The most important risk factor for obesity is the adult type, the second type of diabetes (Type 2 DM). 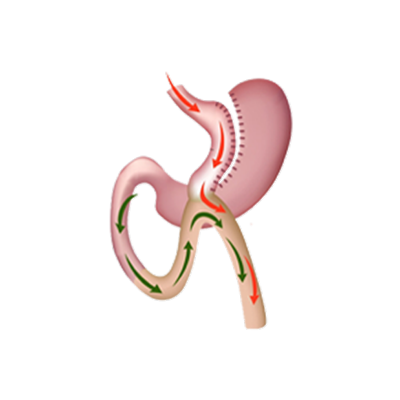 Increased amount of fat in the body gives the insulin hormone, which is released from the pancreatic gland and is the most important regulator of sugar metabolism, to have a resistance. In other words, insulin gradually loses its activity in tissues. In addition, the surplus of free fatty acids is toxic to insulin secretory cells (beta cells) in the pancreas. Treatment of obesity without depletion of insulin reserves in the pancreatic glands is very important in this respect. The cardiovascular system (heart / vessel( is the second important system that affects obesity negatively. Increased fat ratios (triglycerides and cholesterol) provide a basis for atherosclerosis. Hypertension, heart attack and stroke risks arise when the atherosclerosis reaches a serious severity. 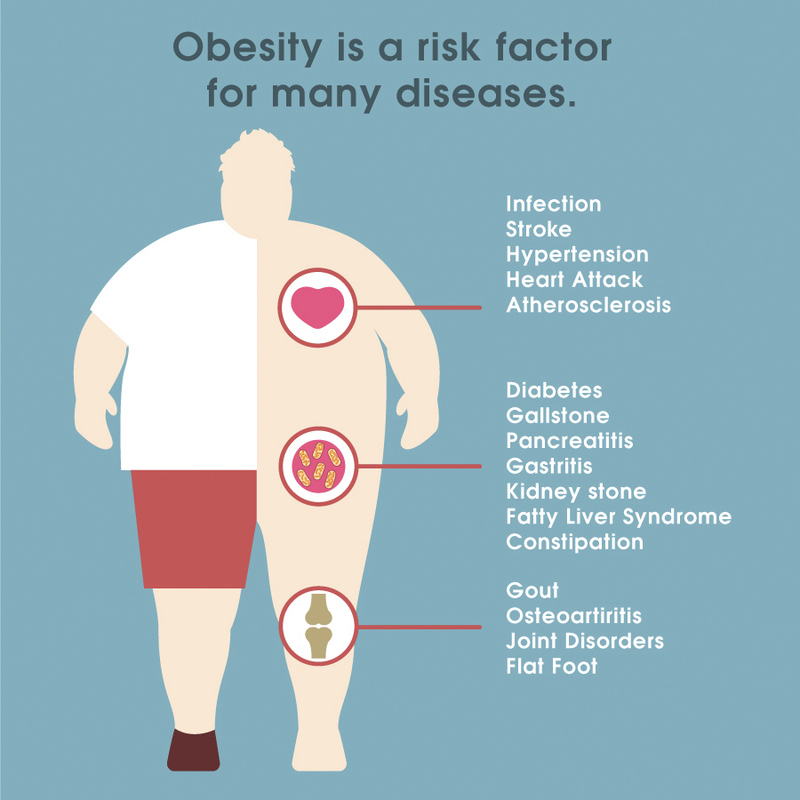 The risk of heart attack is 2 times more in obese individuals than in normal weight people. Scientific studies have shown that 70% to 90% of all hypertension patients are not obese. One of the most common complaints that obese people encounter is the sleep apnea. Sleep apnea is a disease that may cause the breath come to a stopping point during sleep. 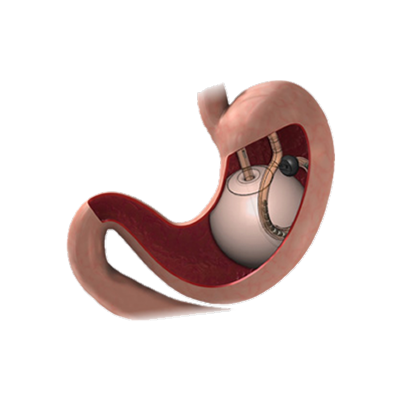 Sleep apnea is observed in 40% of morbid obese individuals. Weight loss seems to be the only permanent treatment of sleep apnea. It has been shown in medical literature that obesity is a risk factor for certain types of cancer. It has been reported that there is especially an increase in prostate and colon (large intestine) cancers in males. 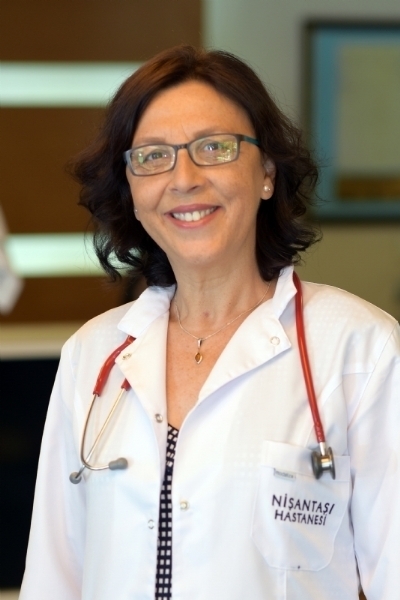 In women, breast cancer, especially due to hormones, is observed to increase. The increase in cholesterol, the main source of estrogen, appears to be the reason of that. 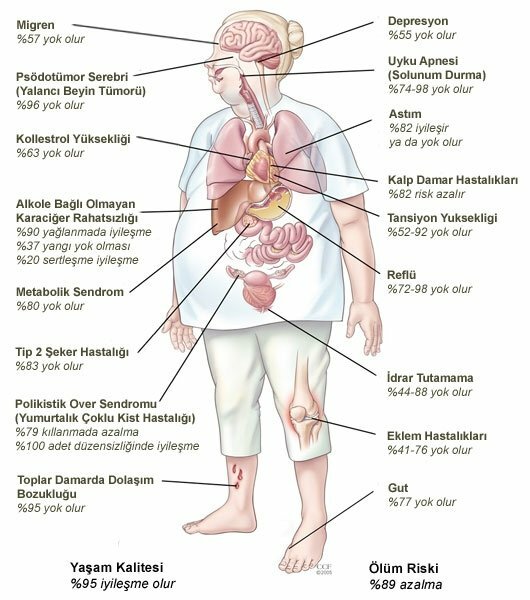 Obesity is indicated as the second cause of death that can be prevented after smoking by the World Health Organization. Obesity is shown as the result of three hundred thousand deaths each year in the United States. Given the whole world, the obesity-related death is much more than death due to hunger. 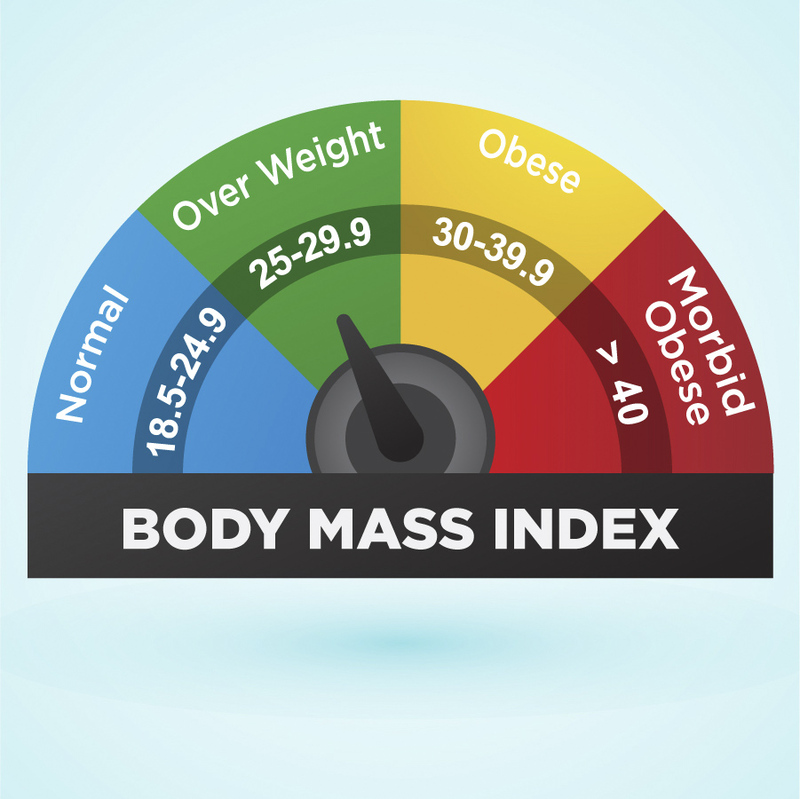 If your Body Mass Index is above 30kg/m2, you should definitely seek medical care. As we mentioned before, you should know the medical problems caused by obesity and you should get rid of your excess weight in a very good motive manner. The steps you should follow are as follows. 1- First of all, you are recommended to apply if there is a specialized center. 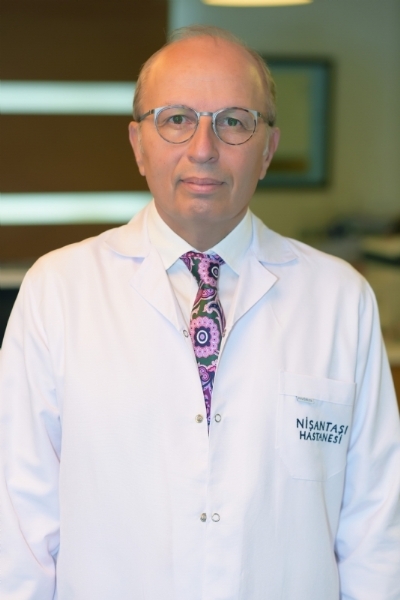 In obesity centers; Endocrinologist, Obesity Surgeon, Dietitian, Psychologist, Cardiologist, Chest Disease Specialist and Plastic Surgeon, who are specialized in obesity treatment, prevention of obesity and obesity related disorders, should definitely be found. Possible endocrinological reasons of obesity should be investigated in all obese patients, although those causes are less than 1%. The most common of those reasons are hypothyroidism due to poor functioning of thyroid hormones and Cushing's disease resulting from excessive cortisol production by the adrenal glands leading to central obesity. Thyroid functions can be evaluated with a simple blood test. The high level of TSH indicates Hypothyroidism. In Cushing's disease, after a low-dose cortisol drug at night will be diagnostic for the level of cortisol with the blood you will give at 8 am in the morning. 2- Especially, individuals who gain in weight too much in the short term, some psychological problems, particularly major depression, can be the cause of obesity. Eating can simply turn into a psychological defense mechanism. In other words, eating is the outward appearance of the present emotional state of these patients. In this case, psychological support should be provided. Even if it is long and troublesome, it can be treated. 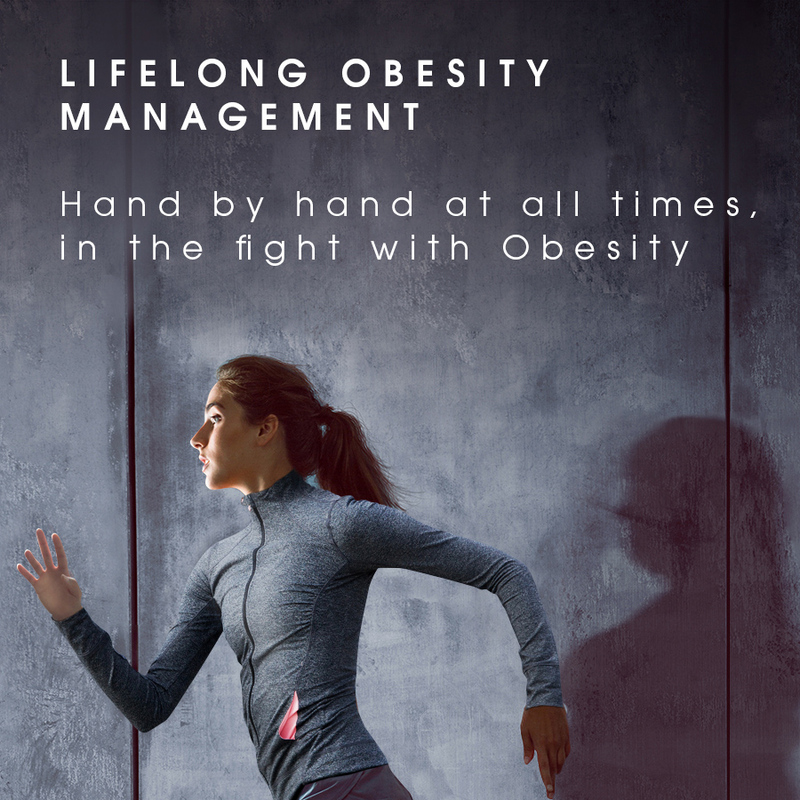 What is Lifelong Obesity Management? There have been many researches on obesity management for many years. Now, rather than focusing on weight loss, more studies are performed to maintain the weight. The important thing is to maintain the weight. It has been found that physical activity is important not only in achieving weight loss, but also in maintaining the weight lost.. The aim in obesity treatment and management should not be just weight loss. Along with the weight loss, health promotion and the reduction of health risks are also very important. It is necessary to focus on weight management. Depending on the grade and type of obesity, it is much better to achieve weight loss at various levels according to the age of the person and life style than to reach the weight loss goal, which is almost impossible, in unhealthy conditions. Moderate weight loss and maintainance of it is a more successful situation than losing weight and gaining it again quickly. 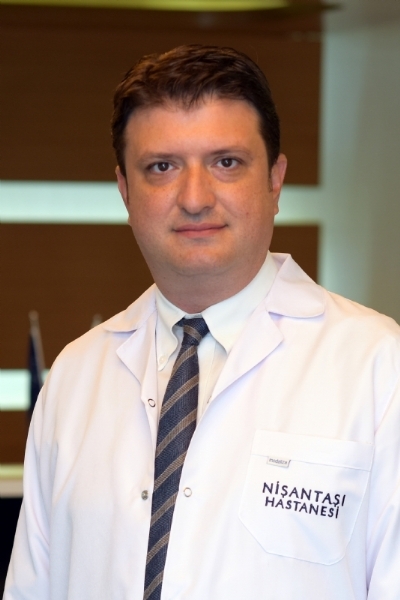 As Nişantaşı Obesity Institute, we are providing life-long obesity management for you. 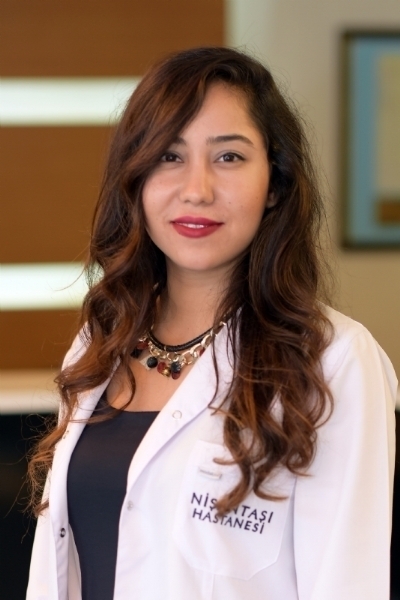 We will also be together with you, our esteemed patients, for a lifetime after your treatment. 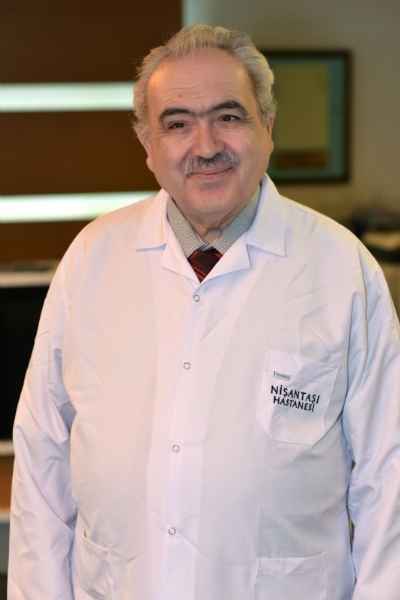 Obesity Institute belongs to Nişantaşı Hospital.